Summer Wine is the song written by Lee Hazlewood and made famous by his duet with Nancy Sinatra in 1967. On 18 April, 2013, Lana Del Rey released her cover of the track and the Summer Wine self-made music video with her boyfriend Barrie-James O’Neill. Lana looks a lot more natural in this music video – she displays real emotions and looks absolutely happy and relaxed. You’d better click the Summer Wine music video and see everything with your own eyes! How do you like the cover of the popular song by Lana Del Rey and her BF? 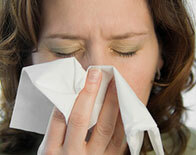 How to Avoid Catching Cold and Flu in the Office?